A clean-lined silhouette defines this classic tote, beautifully crafted from nappa leather in our signature intrecciato. 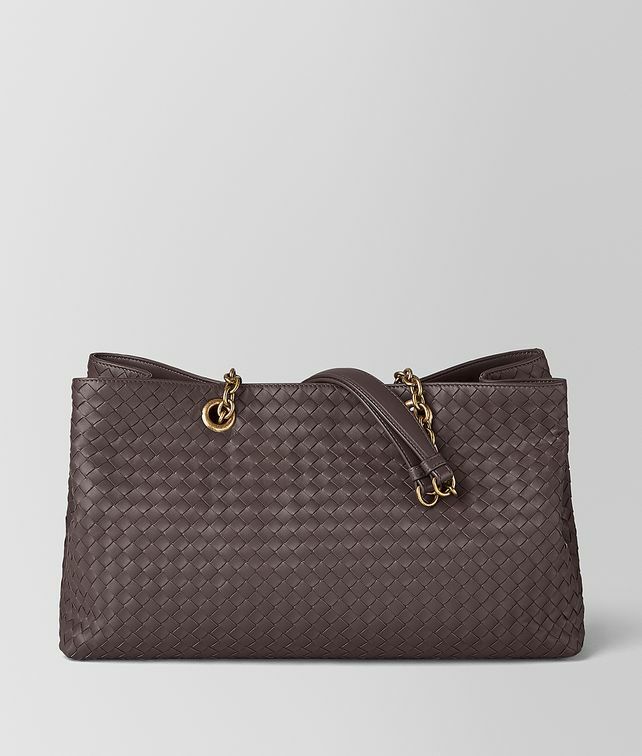 The capacious design features an adjustable antiqued-gold chain and leather handles for comfortable carrying. Its suede-lined interior is divided into two compartments by a wide zipped pocket, with an additional zip pocket and two flat pockets for clever organisation. Height: 25 cm | 9.8"
Depth: 16 cm | 6.3"